MCR Safety's headgear and faceshields offer superior protection from liquid splashes and flying debris that would otherwise be damaging to the face. An assortment of brackets and faceshield sizes and materials make it a good bet that you can find an option just right for you. 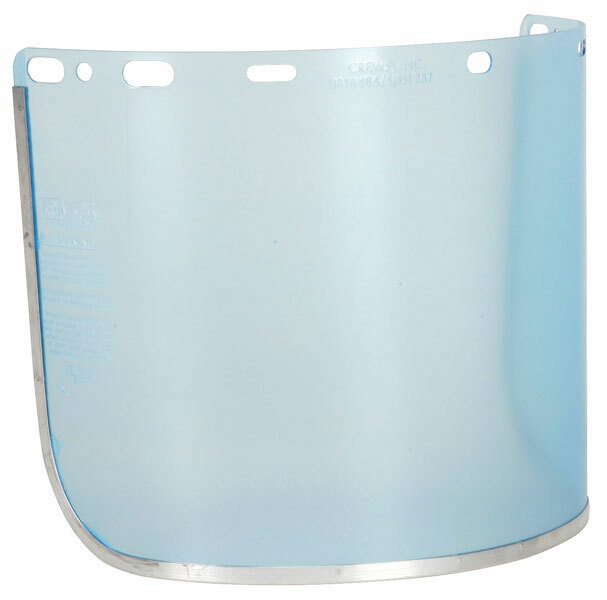 The 181640A is a PETG face shield that is aluminum bound for adjustability.